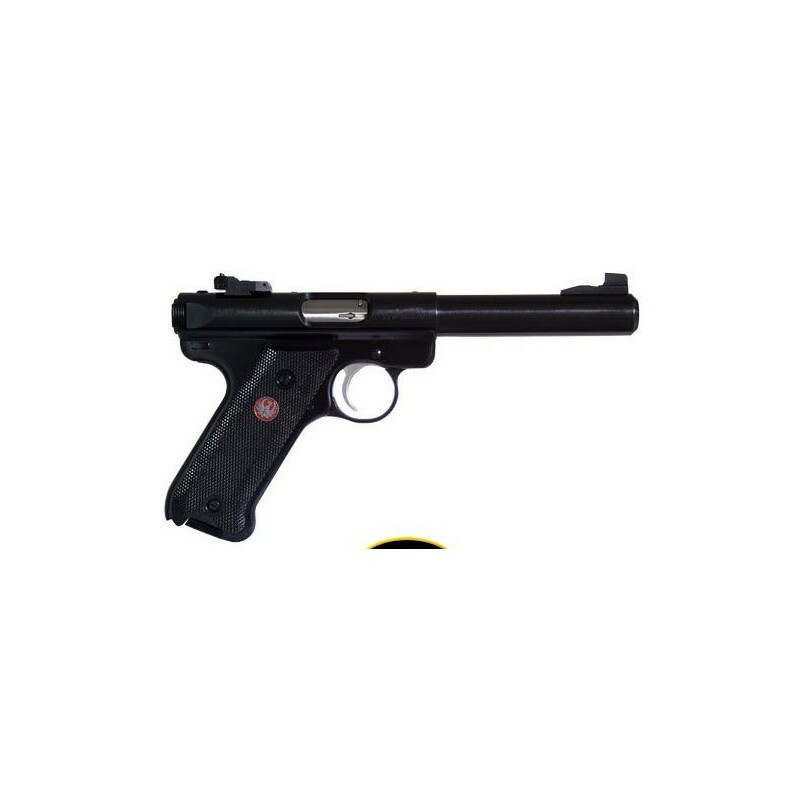 This Ruger Mark III sports a 4.5" bull barrel, a magazine disconnect and loaded chamber inidcator. It is blue-finished and comes with and two 10-round magazines and a good plastic case. It also has a rail attachment and lock included. This is sure to become one of your favorite pistols!